Blowing Rock is the ideal place to set up your dream mountain home. Browse available listings of Blowing Rock NC Real Estate, narrow your search by selecting your wants and likes from the listings. The charming and vibrant, Village of Blowing Rock is one of the top destinations that people list when they are considering where they would seek to build their dream mountain home, or find suitable for retirement. The Blue Ridge Mountains and the peace and solitude that they offer beckons the young and old alike. There is so much to do here, and the area is bustling with new commerce, great industry, and world class restaurants, and fantastic entertainment for a small, rural mountain area in the Appalachian Mountains. Many visit the High Country having never before been here and remark at the perfect mix of commerce and conservation that has been achieved in the resort town of Blowing Rock. Click to begin searching for Blowing Rock NC Real Estate. The Mountain Group at Premier Sotheby’s International Realty is the company to work with if you are starting your search for Blowing Rock NC real estate. Click to view current listings of Houses for Sale in Blowing Rock NC, in the finest communities. Many new developments are being planned and created this year. If you seek an active lifestyle you will find plenty to do here. If you seek rest and relaxation, you’ll find plenty to be inspired by and lots of time for rest and rejuvenation. 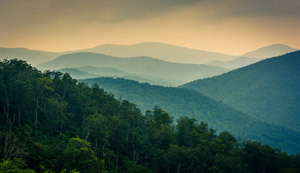 Let us help you if you are searching for the perfect home in the Blue Ridge Mountains of North Carolina. Click to view Blowing Rock NC Real estate properties that are currently listed for sale on the MLS. Thinking about selling your property in the High Country? We can guarantee that you will not find the sales and marketing expertise that The Mountain Group at Premier Sotheby’s International Realty offers anywhere else on the mountain. Our company is led a second generation developer and designer that brings decades of experience in real estate marketing, home construction and design to the table. Let us go to work for you and place your home for sale on the Blowing Rock NC real estate market.